It’s on! The destination wedding is less than a week away and you’ve started making your packing list. Beachwear? Check! Sunscreen? Check! Formalwear? Check! Then, the reality of traveling in a cramped airplane with the nicest outfit you’ll wear all year hits. Here’s how to pack a suit in a carry on for your big getaway. Don’t fold the suit to fit in a traditional piece of luggage. Instead, keep it as loose and flat as possible. Invest in a quality hanging garment bag that features an internal hanger to keep your clothes wrinkle-free. These bags can be affixed to the front of your carry-on luggage for easy transport. 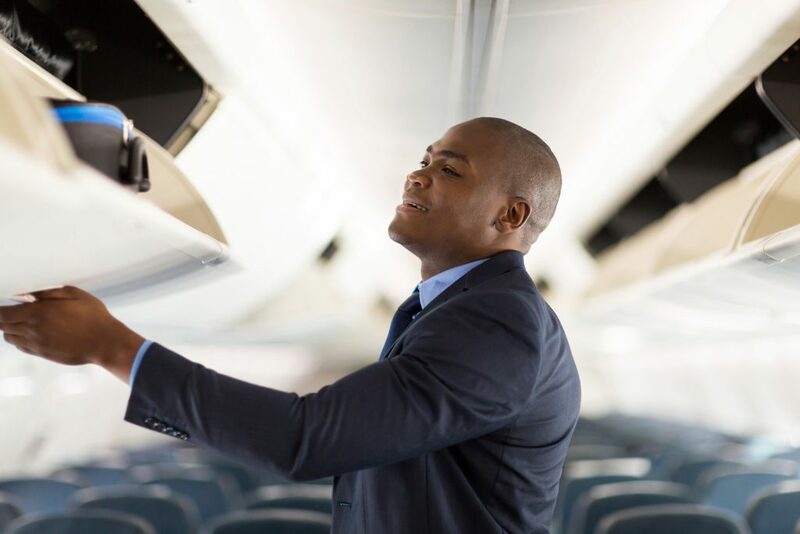 Then, pack a small portable clothes steamer (if suitable for the fabric you’ve chosen) to use at the hotel to get rid of any wrinkles that might set in during your flight. Or, ask the hotel concierge for assistance with a last-minute freshening of your formalwear. When you first board the airplane, look around. Just before the first-class seats, you’ll see a small closet that can be used by passengers and flight crew members. If you mention you’re traveling for a wedding, you can most likely hang the garment bag in that spot to keep your suit from getting folded or squashed in an overhead bin. It’s best to call the airline ahead of time to see if this is an option for your specific flight. If the closet space is unavailable, talk with the airplane staff about draping the garment bag over an unused seat. Explain what’s inside and how much you want to keep your formalwear in top shape for the big day. They’ll likely assist with your request, or find another place in the aircraft to hang the bag. If this option isn’t available, stretch out the garment bag over suitcases in the overhead bin. Are you jetting off to a popular city? Check with your formalwear provider about shipping the garment directly to your hotel or destination. 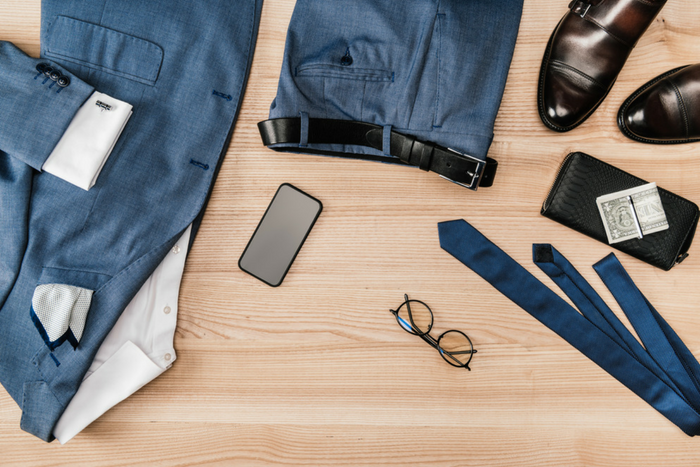 Your custom-fitted suit can be shipped there directly and waiting for you when you arrive, so you can skip any worries about transporting the suit yourself. After all, you have a wedding to think about! Do you still need a few accessories to complement your suit? Browse Jim’s Formal Wear online for last-minute shoes, belts, formal socks, cufflinks, and suspenders before you take off. Bon voyage!